Hello! Welcome to Transit for Cobb. 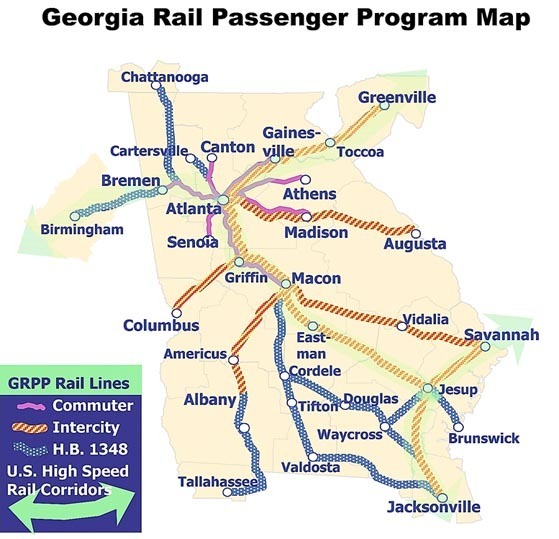 This site is intended to help educate the people of Cobb County, as well as any others in the Atlanta Metro, as to why and how they could go about bringing far better transit services to their home county. Please sign our petition for bringing more transit to Cobb, read up on the most recent transit-related news, look for upcoming events, and take a moment to read up on what transit is and what it would look like. Learn about what technologies are available to Cobb. Learn about some of the proposed routes and for Cobb's future transit. Learn about why Cobb should expand transit. Learn about what options Cobb has to gather funding, and who might opperate that new transit. See how you can help bring better transit to Cobb. You can be active in helping bring truly world-class, regional transit to Cobb County by attending any of the events shown, by joining any of the activist groups listed here, and by subscribing to our mailing list. Sign up with your email address to receive news and updates if you don't want to sign the petition.